So when I was going to school circa ’03 to ’07, my friends and I never really had the problem of ‘you can’t play with Bama, they are too good’. We never played against each other with Bama cause I mean that would be crazy. 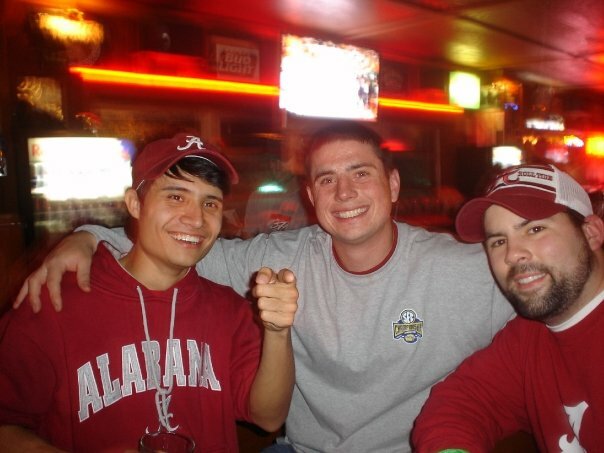 But, we did like to take our skills online or take on our non-Bama friends, which we didn’t have many non-Bama fan friends cause we did live in T-Town. We always took all comers on with our Crimson Tide no matter who we were facing (And yes it was ‘we’, we switched up every quarter with the hot hand taking the fourth). This wasn’t a problem until NCAA 10 came out. All of a sudden Bama was “too good” to play with against other people. The common refrain was, ‘oh surprise, you picked one of the best teams in the game’. Well, no, I picked my team which I did every year even when we sucked. But, as I am a true gentleman video sportsman, I did start to play with other teams. Over the past few years, I rarely ever play with Bama because they are so good and it hurts my heart. Do I not get credit for all of the years of JP Wilson (I liked the kid, but lets be real) and the not so talented Tide taking on stronger opponents. Does my loyalty to Bama during the thick and the thin video game years count for anything? I guess not, it can be a cruel digital world and my days of playing with Bama in NCAA football seem to be on hold until Bama comes back down to earth. Here’s to that not happening anytime soon. I like the real crystal balls more than the digitized ones.